Wordless Wednesday: Still at it! Still workin’ it, still not lovin’ it! 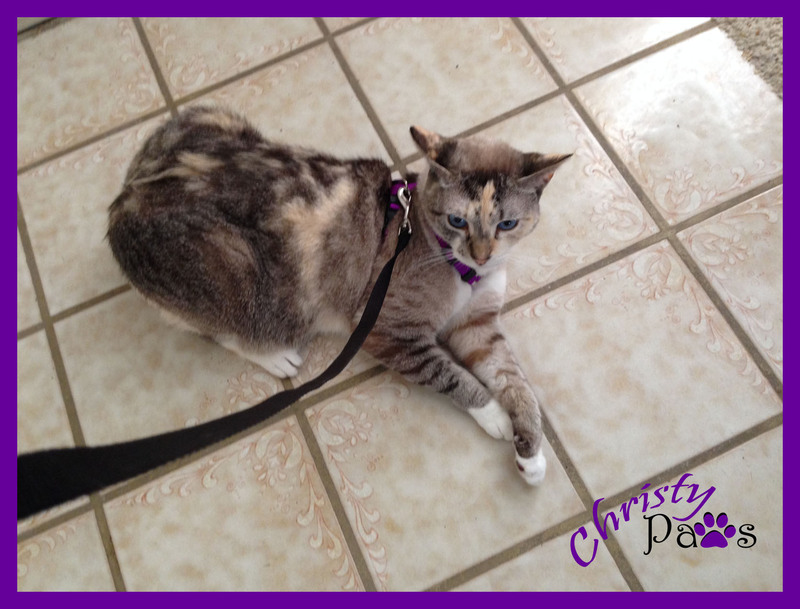 Tagged cat, harness training, Wordless Wednesday. Bookmark the permalink. 8 Responses to Wordless Wednesday: Still at it! Hi! I just found your blog when you started following me on Pinterest. I see you’re leash trained and I like your coloring. Do you know about the Cat Blogosphere? I hope you’ll come visit me. I’m still working on the leash training thing but I’m getting better. I can now walk around my house with it on without walking backward or crawling on my belly! Mom and I are still learning about all these cool blog things like Cat Blogosphere. We have visited you a few times and will be back. Great pose, you are a beauty! I’m blushing! Mom always tells me I have beautiful eyes too. Thank you. I think she is obsessed with them! Thanks for subscribing. Mom subscribed us to your blog as well. We enjoy reading it!